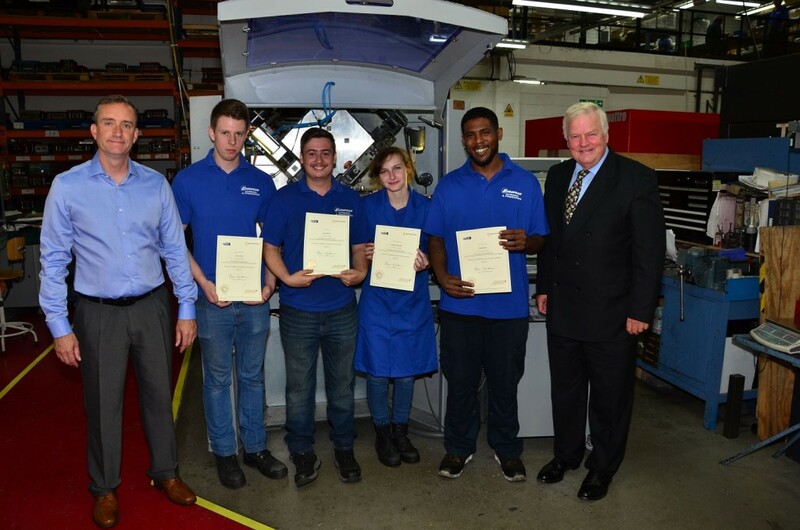 Colonel Bob Stewart MP recently visited us here at European Springs to award four of our apprentices with certificates recognising their achievements in Performing Engineering Operations (PEO). The longstanding conservative MP for Beckenham and former British Army officer, and United Nations commander, enthusiastically congratulated the apprentices on their achievements, praising their ingenuity at choosing a career in engineering. Stuart McSheehy, our Managing Director here at European Springs & Pressings concludes: “Apprenticeships are key to securing next generation engineers and engineering is key to the UK’s GVA. We’re really proud to be inspiring tomorrow’s engineers with valuable on-site training in real life working conditions, preparing them for real jobs in manufacturing.